In the last couple of weeks the news have been full of information about the extent of the surveillance under which western governments are keeping their people. I don’t believe that anybody who really thought about this subject before has really been surprised by these news. 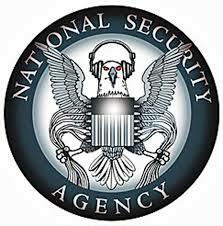 Governments everywhere in the world and history are spying on their people as long as governments or rulers exist. This may be due to the fact that the people in power are a very small minority which is scared that we normal people would do the same as they do like bending or ignoring the law and start trying to take things into our own hands but it may as well be that they have honest intentions and are just trying to protect us from the few bad elements in our society. Who knows! As nobody is really in contact with these people we can only guess about their intentions. Beside a lot of interesting new logos and discussions this uncovering has shown one thing for the first time and this is the magnitude in which especially the US government has the resources to store data nearly for forever to have time to process them! It has a reason that the brain is forgetting things over time and why all western countries have laws which see to it that information about most offences have to be deleted after a certain time. I believe that nobody wants to be judged by the stupid things he did or said in his youth. Not you, not I and certainly not the politicians who gave their agencies card blanche to store all data they could put their hands on for an unspecified duration. People say things. These things, said in a certain context, are not always what you really mean or want to express as they are strongly influenced by the situation in which they are said and your emotional state at this moment. People who are around at this time are able to judge what was said according to its context and therefore willing to forget the words and take the emotional meaning for it. I have my doubt that the recording devices and computers which are storing all these communications are able to capture the context as well and therefore put the words into their rightful settings. This way of data capturing and context free analysis automatically leads to big mistakes and I believe that some of them could already be seen in the news lately. If everything what we say is recorded, did anybody think about the consequences this will have on our society? I don’t believe so and I also cannot (or want to) believe that anybody wants to live in a world where everything he says (or in the future thinks) will be captures for replay and analysis forever! This entry was posted in Internet, Society and tagged internet, security, society. Bookmark the permalink.